I love KALE! I make deliciously baked chips, add in my smoothies or make beef and rice rolls -much like cabbage rolls, etc. Needless to say, kale soup is “must” in my family around this time of the year. Sometimes I would add smoked sausages, sometimes smoked meat/bones/ribs, but most of the time I make this hearty, earthy vegetarian version. It is also very simple and light recipe, inexpensive, especially if you are on a tight budget, and guess what even though, Kale is all year round vegetable, it is actually in season during the winter time. Eat more Kale now, because it is great for your body and mind, raw or cooked- in juices, salads, soups, and stews, etc. 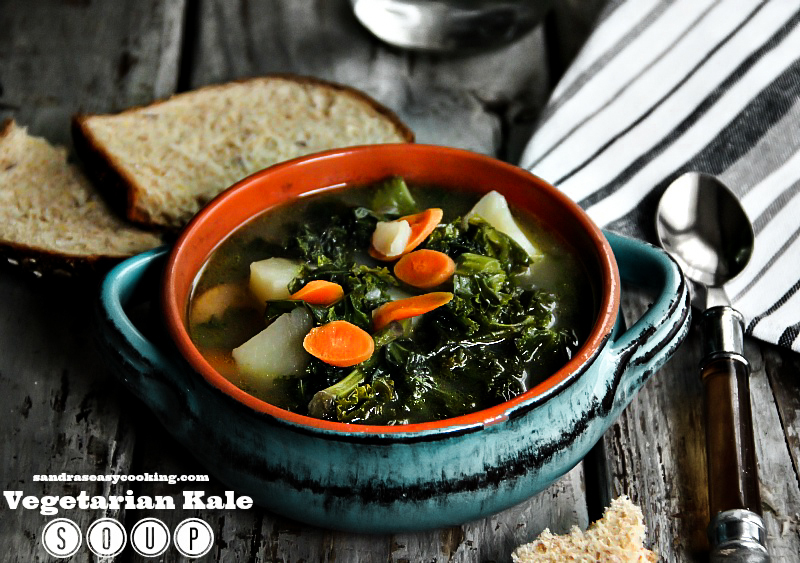 The way I make my Kale soup may sound more like a stew, because of all the ingredients that I am using in the recipe, but that’s why it’s so rich in flavor. Kale soup is done in about 30 minutes or less and it tastes amazing! Last week I made it pretty early, because I’m volunteering for a few hours in my kid’s school, so to save the time I made it earlier before I left my house. With that being said, I ate it at 9 am. Yep! It was a cold morning and it felt so good to eat it right away when it was piping hot. I hope you try this winter season. 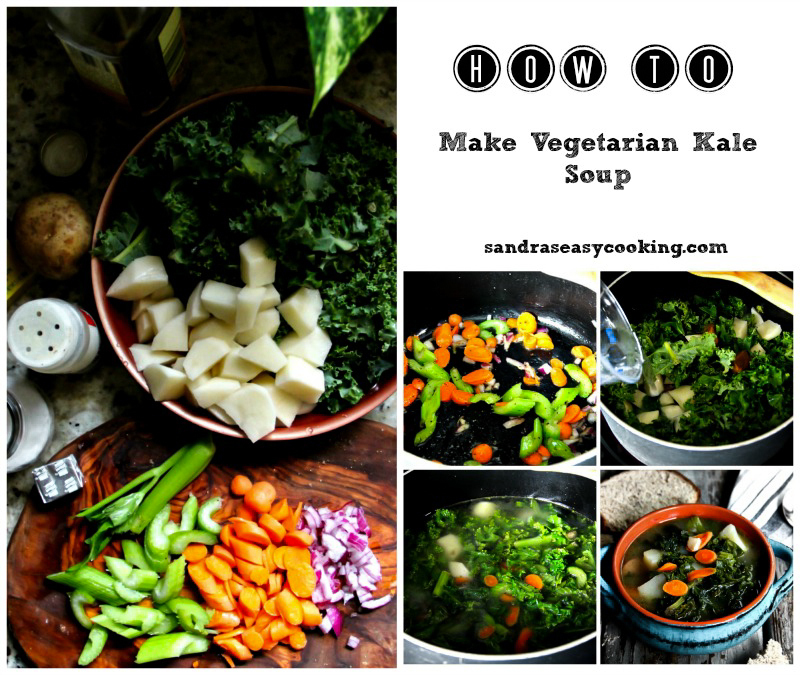 If you are a kale lover, then I am sure that you will love this recipe. In a large pot, put oil with chopped onion and garlic; cook for a few minutes, stirring then add sliced carrot. Peel and cube or quarter potatoes and add to the pot, stir, then add washed and chopped Kale. Pour Vegetable stock and water, season with salt and pepper to taste and add bouillon, stir, cover and cook on medium high until potatoes are tender, and not falling apart (about 15 minutes). Serve hot, or once it's cooled to room temperature pour into the fridge, safe container with a lid. It can be refrigerated for up to 2 days (but it's the best of it is eaten the same day).